Hangovers: One of the quickest ways of curing a hangover is to make a banana milkshake, sweetened with honey.. The banana calms the stomach and, with the help of the honey, builds up depleted blood sugar levels, while the milk soothes and re-hydrates your system. Heartburn: Bananas have a natural antacid effect in the body, so if you suffer from heartburn, try eating a banana for soothing relief. 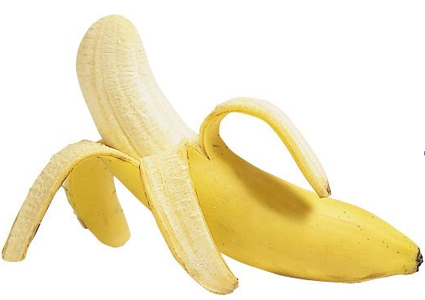 Nerves: Bananas are high in B vitamins that help calm the nervou system. Overweight and at work: Studies at the Institute of Psychology in Austria found pressure at work leads to gorging on comfort food like chocolate and chips. Looking at 5,000 hospital patients, researchers found the most obese were more likely to be in high-pressure jobs. The report concluded that, to avoid panic-induced food cravings, we need to control our blood sugar levels by snacking on high carbohydrate foods every two hours to keep levels steady. 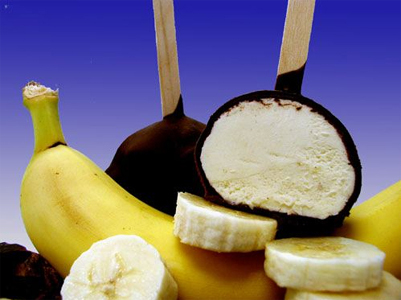 Ulcers: The banana is used as the dietary foo against intestinal disorders because of its soft texture and smoothness. It is the only raw fruit that can be eaten without distress in over-chronicler cases. It also neutralizes over-acidity and reduces irritation by coating the lining of the stomach. Stress: Potassium is a vital mineral which helps normalize the heartbeat, sends oxygen to the brain and regulates your body's water balance. When we are stressed, our metabolic rate rises, thereby reducing our potassium levels. These can be rebalanced with the help of a high-potassium banana snack. Warts: Those keen on natural alternatives swear that if you want to kill off a wart, take a piece of banana skin and place it on the wart, with the yellow side out. Carefully hold the skin in plac with a plaster or surgical tape! PASS IT ON TO YOUR FRIENDS PS: Bananas must be the reason monkeys are so happy all the time! I will add one here; want a quick shine on our shoes?? Take th INSIDE of the banana skin, and rub directly on the shoe...polish with dry cloth. Amazing fruit !! !